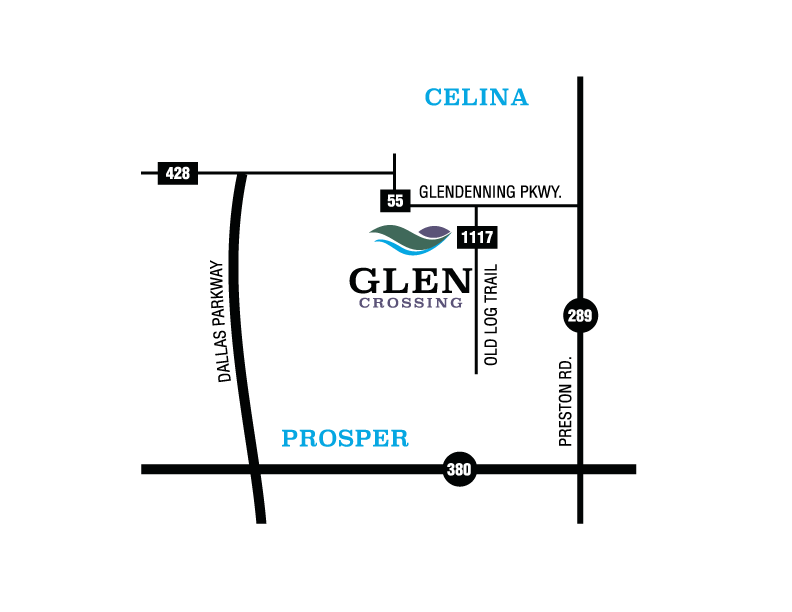 Celina offers the best of small town living with convenient access to the Dallas North Tollway to quickly reach major employment centers and popular destinations across the DFW Metroplex. Head to Celina’s Historic Square for mom and pop restaurants and boutiques or take the whole family to Old Celina Park to play on the sports fields. Local shops stay open late during the farmers market at the Historic Square on Friday nights from April to early November, and the city also hosts trick or treating, movie nights and Christmas tree lighting events on the Square. Outdoor enthusiasts will love Celina’s proximity to Ray Roberts Lake State Park, which features a marina, wooded equestrian and hiking trails, fishing, kayaking, camping and a rustic lodge. © 2019 Copyright Glen Crossing | All Rights Reserved.